Do You Plan to Sell Real Estate in DuPage or Cook County? 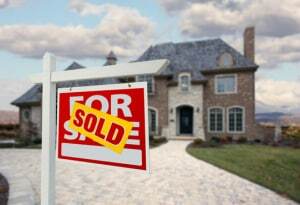 | Fournier Law Firm, Ltd.
Do You Plan to Sell Real Estate in DuPage, Cook, and Collar Counties? Many people are taking advantage of the improving real estate market in Cook and DuPage County, Illinois by selling their house, condominium, vacation home, or vacant land. If you plan to cash in on your property investment, you are engaging in a very large financial transaction. You need an experienced real estate attorney on your side to help you understand each of the documents you sign and to make sure that nothing goes wrong. Protect your financial investment with the help of a skilled real estate attorney. To learn more about the services our office can provide when you are selling your property, call Fournier Law Firm, Ltd. at 630-792-1000. We also have an online request form you can fill out if you prefer that a member of our staff contacts you. The buyer wants to back out of the deal at the last minute? The buyer fails to pay earnest money when due? The buyer’s financing falls through? The buyer has a sale of home contingency? The buyer wants to get out of the deal because a property inspection revealed minor problems? The title insurance company refuses to cover a potential problem with the title? You are unaware of what documents are needed to complete your transaction? What unknown costs you would be responsible to pay which will reduce the amount you expect to net from the transaction? At the Fournier Law Firm, Ltd., our job is to minimize you from risk so that you can realize the full value of your investment when you sell your property. Avoid taking risks with your real-estate transactions. Complete our online contact form or call Fournier Law Firm, Ltd. directly at 630-792-1000 to make an appointment with a real estate attorney at our conveniently-located Oak Brook office. With more than fifteen years’ experience practicing real estate law, Attorney Harry J. Fournier understands how to anticipate and resolve the problems that sellers may face. Whether you are selling residential property, a commercial building, or vacant land, Mr.Fournier will give his diligent attention to every detail of your transaction. To make an appointment with Mr.Fournier concerning your residential or commercial real estate sale, call Fournier Law Firm, Ltd. at 630-792-1000. Or, if you prefer, you can fill out our online contact form and a professional in our office will get in touch with you. Unfortunately, some property values in Northern Illinois have not yet fully recovered from the collapse of the real estate bubble. Some sellers cannot make their mortgage payments and are forced to sell to avoid foreclosure. Selling a home for less than the balance owed on the mortgage is known as a “short sale.” A short sale is usually preferable to a foreclosure sale because you may be able to avoid the lender obtaining a judgment against you and attempting to collect any deficiency.Still, short sales are more complex than typical real estate transactions. Short sale attorneys can help you negotiate with your lender to accept less than is owed in exchange for releasing the lien on your property. In some cases, it is even possible to negotiate with your lender to waive any deficiency against you when the sale proceeds will not pay your loan in full. Many lenders will negotiate favorable terms for a short sale rather than commit themselves to the expensive and time-consuming process of foreclosure. Since issues of personal liability can place your other assets at risk, you should never enter into a short sale without getting advice from a lawyer. Whether you need help with a short sale or a traditional sale of real estate, you will receive individualized attention and skilled representation from Fournier Law Firm, Ltd. Complete our online contact form or call 630-792-1000 to get help with your real estate sale.